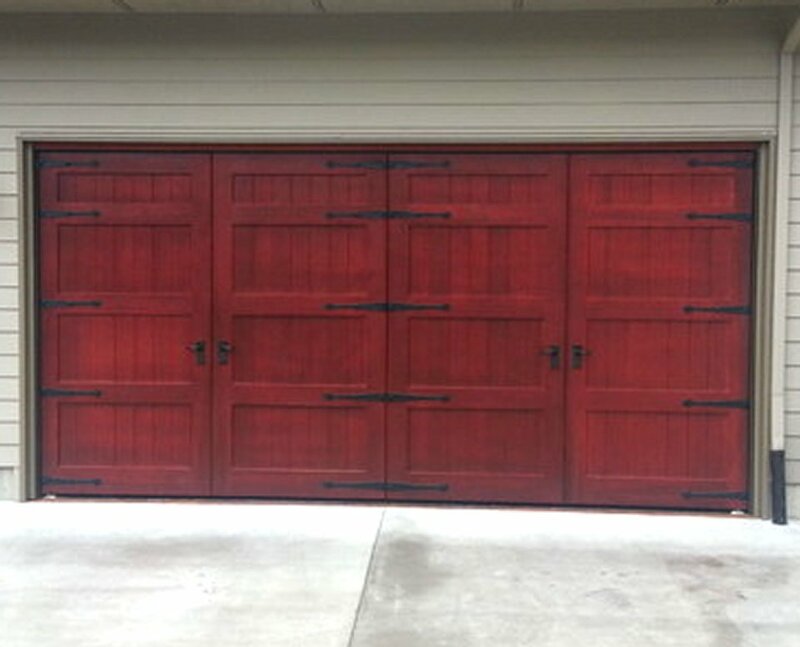 This project included Rob Jones’ specifications for lightweight insulated bi-fold carriage doors to span a 16 foot garage door opening. The architectural specifications included insulation value of R10, for 4 bi-folding door panels (each 4′ x 8′ x 2″) with 2 inch solid wood trim and solid wood implants for lock blocks to be hinged in carriage door style with quarter-inch vertical grain solid oak stave applied as door surface material. 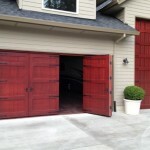 Door company applies final wood trim, red stain and hardware. In addition to the 16 ft. x 8 ft. garage door, the client also wants a matching set of garage doors for the attached RV port with a 14 ft. x 12 ft. opening. 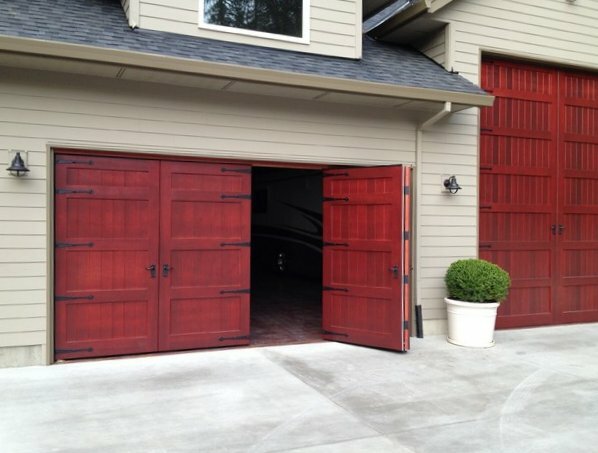 The large RV port carriage-style doors are 3 inch thick pivot doors masquerading as carriage doors to match the bi-fold carriage door appearance. 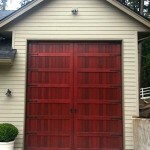 The final 16 foot garage door consists of 4 each 4 ft. x 8 ft. x 2 in. solid oak (1/4 inch wood stave). Interior of doors consist of non-warping patented Sing Core torsion box filled with rigid insulation foam material rated at 660 PSI for strength. Insulation rated at R10 per architectural door specifications. 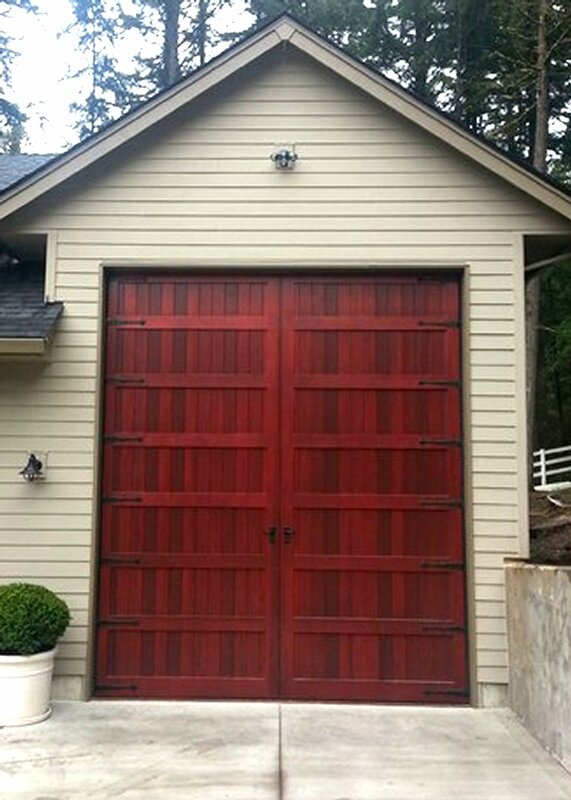 Matching RV port doors are 14 ft. x 6 ft. each and 3 inches thick. 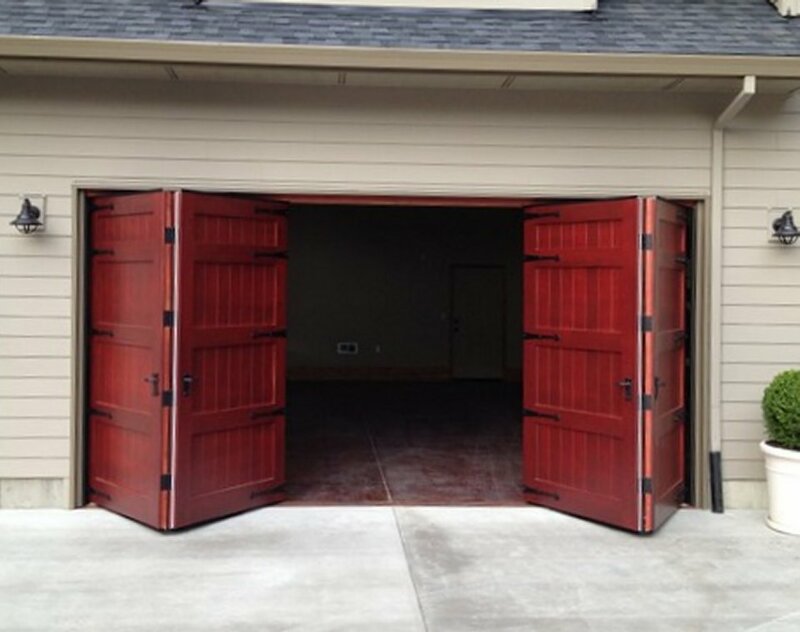 The lightweight characteristics of all these doors helped to minimize the hardware and structure framing requirements that would have been necessary to host large doors of normal weight. 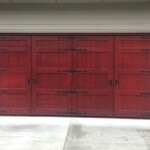 Where can you buy manual garage doors like this? We’re looking to build an earth friendly house and are trying to eliminate as much electricity as possible. what is the cost for this door please. 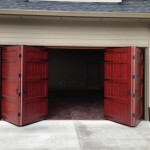 These doors are the best quality on the market.